A few weeks ago, I sat down with the analysts at Red Pill Email to give an in-depth tour of the SparkPost platform, and to share our point of view about the future of email marketing. It was a real treat to talk with Red Pill’s John Caldwell and Jeremy Grecco. They’re industry experts and veterans with years of experience across a broad swath of ESPs, MTAs, and other mailing infrastructures, and they have both the practical expertise and historical perspective to make quick sense of developments in this market. (You might be familiar with Red Pill Email’s well-regarded “Email Vendor & Functions Guide” annual benchmark report—if you’re not, do yourself a favor and check it out.) They’ve helped their customers navigate multichannel integration, the shift towards marketing clouds by large vendors, and the emergence of new technologies and solutions in an increasingly crowded MarTech landscape—while never losing sight of what makes email marketing work. So, when we met, I wasn’t surprised when John and Jeremy quickly cut to the chase. They essentially asked me, “Why is SparkPost different? You have pretty demanding senders like Pinterest and Zillow as your customers. What’s the benefit you’re giving?” The Red Pill Email team immediately understood what I meant when I described the approach we take at SparkPost: the combination of real-time, API-driven message generation and analytics; the scalability, elasticity, and cost-effectiveness of our cloud infrastructure; and the operational and deliverability expertise that comes with years of handling email at scale for the world’s biggest senders. I’m the first to admit that I’m a true believer in what we’re doing here at SparkPost. The lessons (sometimes hard-won) of my years in the industry tell me that we’re really on to something—and I can’t tell you how much respect I have for my colleagues and their deep understanding of this space. But I guess what I’m saying is, don’t take my word for it. Read what the team at Red Pill Email learned during their review of our platform. 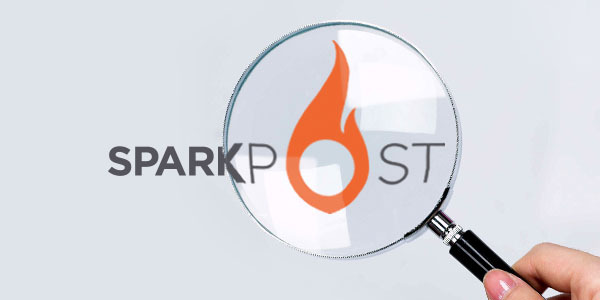 In their review, Red Pill Email assesses SparkPost in several areas, including our tempting and campaign management features, developer-friendly API, deliverability services, analytics, and more. Spoiler: it’s a positive review (and for that, I’m grateful). But, I do think that John and Jeremy’s perspective and insight—rooted in the rigors of actually running campaigns and managing major RFPs for large brands—is worth reading for yourself. I think it will be useful in helping you understand how SparkPost’s email delivery service fits into the broader email marketing space. It also will give a good introduction to our technical approach and our deliverability and operational expertise. So, please do take a look at Red Pill Email’s review of SparkPost—and I’d love to hear what you think.